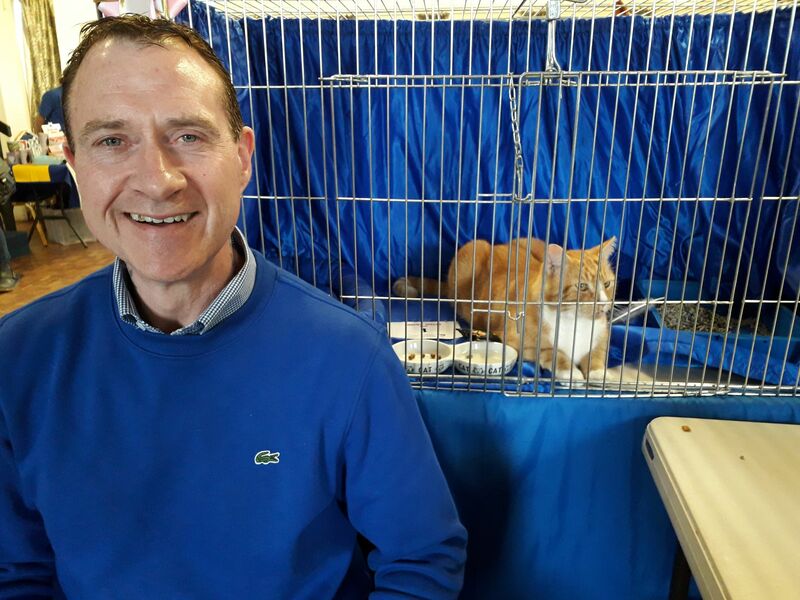 Yesterday's Cat Show and Homing Day at Little Downham Village Hall, was another resounding success for Ely & District Cats Protection Branch. Many people attended the annual event, some to meet the famous Garfield (of Sainsburys in Ely fame) and his carers and purchase a signed copy of his new book. Some people were here to meet the eleven cats we had that were looking for a new home - we are very excited to announce that nine of these cats have been reserved and will be off to their new homes soon. We also had our now famous Tombola which sold out very quickly - all these prizes are donated to us. Some of volunteers manned a Cats Protection New Goods stall and others looked after the bric a brac stall (taking an amazing sum of £96.00). At the time of writing we do not have a final total of funds raised but are estimating it to be on target matching previous years. We also had a good take up of the cafe facilities here including bacon sandwiches, homemade cakes and drinks - all made by our volunteers. The Cat Show was also a successful, with further details of the winning cats and owners to be published shortly. Many thanks again to all the members of the public, volunteers and CATS who help make this event an annual occasion - see you next year !